Instrument calibration can either be performed in the workshop or the field. These are referred to as lab and plant calibration respectively. Both of these calibration methods are suitable for different situations, and the appropriate choice depends on the several factors. Lab calibration involves removing the process measuring instrument from its currently installed location and taking it to a laboratory to be calibrated under controlled conditions. This process is typically used during the commissioning phase, where it is more convenient to perform calibrations since the instruments are not yet installed in the field. This type of calibration is also sometimes preferred in situations where harsh or challenging field conditions make it difficult to calibrate on-site. 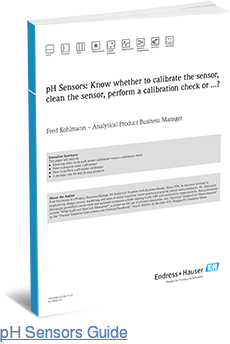 Extreme caution must be exercised when transporting the calibrated instrument back to the field, since undetected damage to the device can result in inaccurate measurements, thereby undoing calibration procedures. Plant calibration entails using portable equipment to calibrate the instrument on-site. This method is typically preferred when it is not feasible or advisable to remove the device from its installed location. Portable calibration devices are available for many quantities, making plant calibration more convenient in many situations (providing that there is adequate access to the instrument in question). This method is also sometimes preferred since the instrument is being calibrated against actual operating conditions as opposed to a controlled laboratory. Multipurpose sensors are specifically designed to be used at every stage of drug production including process development, clinical trials, pilot plants, and large-scale development. These sensors, therefore, eliminate the need for companies to change instruments for each development phase. There are two main types of multipurpose sensors: pH and conductive sensors. pH sensors are used to measure hydrogen-ion activity in aqueous solutions, thus indicating its acidity or alkalinity. Conductivity sensors, on the other hand, are used to determine a liquid’s electrical conductivity, signifying the presence of dissolved ions or impurities. Transmitters are essential components in modern measurement instruments. These components are used to generate analog or digital outputs in proportion to the magnitude of the measurement detected by the multipurpose sensor. Essentially, they translate raw input into electrical signals that are then sent to a controller to take appropriate action based on the output signal. Modern pH or conductivity instrument consists of a multipurpose sensor, a transmitter, and a signal conditioner which helps to amplify the signal for long-distance transmission. Some transmitters may also display measurement values, thereby doubling as meters. The appropriate calibration method ultimately depends on the specific application and the type of device being calibrated. 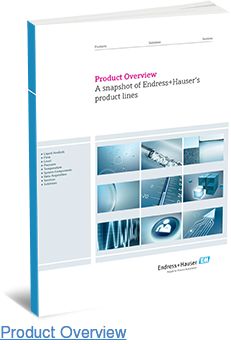 Modern sensors, such as those offered by Endress+Hauser, come with built-in capabilities that allow them to store calibration data and other vital information. This allows our multipurpose sensors to perform calibration checks and generate audit trail reports. 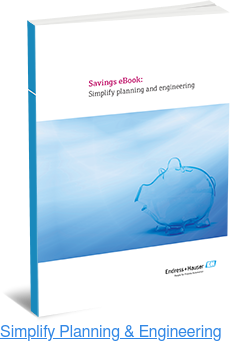 If you would like to learn more about our multipurpose sensors, be sure to download our free eBook.